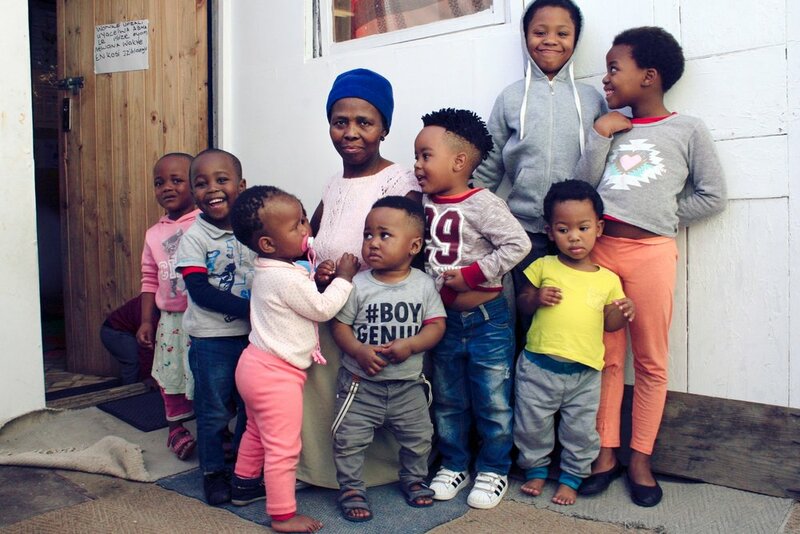 In a small shack in Masiphumelele, Mama Lucy is running her daycare for more than 30 small children from 0 years and above. Her dream is to develop her initiative to a sustainable preschool where children can play, develop self esteem and learn how to read and write. Masi is a small township with about 40 000 residents, in the outskirt of Cape Town, which used to be called “Site 5”. During Apartheid, the black people were forced to move quite far away to Khayelitsha, one of the main areas for the Apartheid regime to place black people at the time. When Apartheid ended, in beginning of the 1990’s, a group of people from Khayelitsha moved back and they renamed “Site 5” to “Masiphumelele”, which means “we shall succeed” in the language of Xhosa. In 2012, Mama Lucy started to accommodate children in her community. She recognised the need of caretakers for the little ones in her area, who would be left alone home if she wouldn’t assist. She feeds them, makes sure they get their daily nap, changes diapers, plays, sings, reads, teaches and most importantly: she makes sure those babies and young children are at a safe place, where they receive a lot of love! Only a few of the children’s parents pay the day care fees - Mama Lucy’s only income. 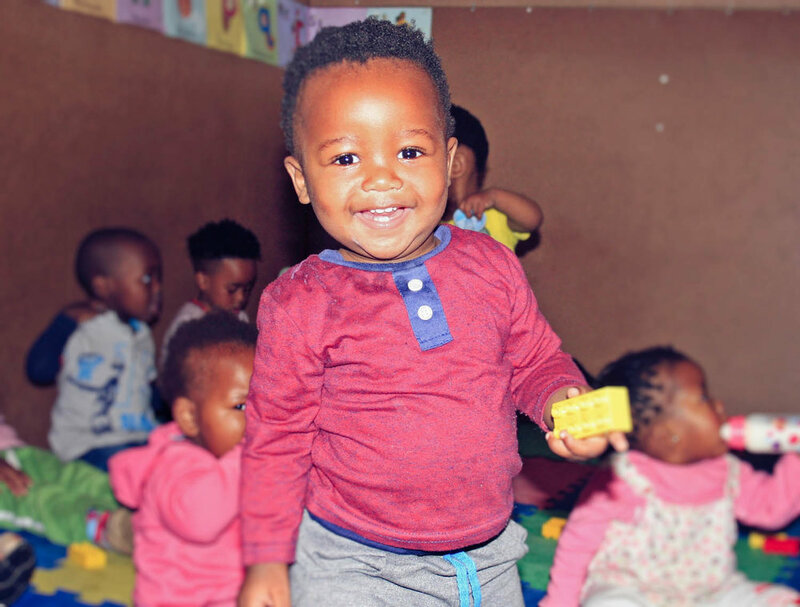 The crèche receives porridge from an organisation called JAM, but apart from that, the crèche exists on its own and it does not get any subsidy from the Department of Social Development. Mama Lucy is 53 years old and she works mostly by herself, having assistance from only one young woman who helps out during the day. Lucy has a huge passion for children and she has a heart of gold. She is doing an amazing job but she can't do it on her own. She needs help to survive and to build a sustainable organisation and a daycare for the babies of Masipumhelele. In order for Masibambane to create stability and to become independent, more driven people must get involved. The most urgent requirement is to find more caretakers, but the capacity will not be sustainable without a governing body. By this, we mean that an organisational structure is necessary for the survival of Masibambane. It is extremely important that Masibambane is registered as a Non Profit Organisation, and that it finds board members that are influential in the Masi community, with a great network and with the understanding of a child’s need. CTO is supporting Masibambane with the process of registering the daycare opening up its own bank account. We are currently helping Masibambane to recognise trustworthy board members that could contribute to Masibambane’s development and to get organised as the NPO’s governing body. We are currently looking for an admin officer, who can work for Maibambane close to Mama Lucy but also be CTO’s right hand in the development how we envision this. CTO is also looking for investors, who can step in and together with us invest in this important initiative for young babies and children of Masi. In June and July of 2014, students from Karlstad University donated educational equipment and food for the children, thanks to a successful fundraising in Sweden. In February 2016, CTO’s architect partners Sara from Lunark and Anne from Arct sponsored Mama Lucy with educational equipment and food for the children. Excursions with other Change Agents have been organised with the aim to gain personal development and good leadership. Supplied research and workshops with other Change Agents. CTO has committed to support and guide Mama Lucy towards sustainability and independence. A good relationship and dialogue has been developed. CTO has decided to financially support Masibambane with regards to capacity, by supplying a local admin officer who will function as extra support in the development of the daycare, initially for 6 months. Our aim is to fundraise ca 800 000 SEK during 2018, for development of Masibambane! The amount includes teaching education for caretakers, education in economics, governance skills, education for Mama Lucy and individual support such as counselling. It also includes salaries for 4 care takers for one year, salary for the admin officer and costs for registration of Masibambane as an NPO. We also include an investment of a proper brick house and investment in a business for the daycare in order to be able to maintain and sustain itself. For ca 300 000 SEK, we could buy a formal house for Masibambane in Masiphumelele, and when the daycare is up running properly, the house could be passed on to the functioning NPO of Masibambane. If we could buy the house by the end of 2018, we would be so incredible happy!